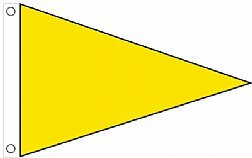 Bob’s Flags is proud to offer high quality, U. S. made Air Quality Pennants use in the air quality flag programs for schools and communities. The pennants are 3’ tall by 5’ wide outdoor nylon finished with canvas heading and two grommets for running up an in-ground flagpole. 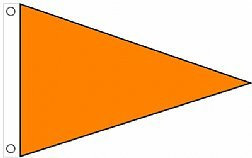 Replacement pennants can be purchased as needed – some colors are used more frequently than others and so need replacing more frequently.